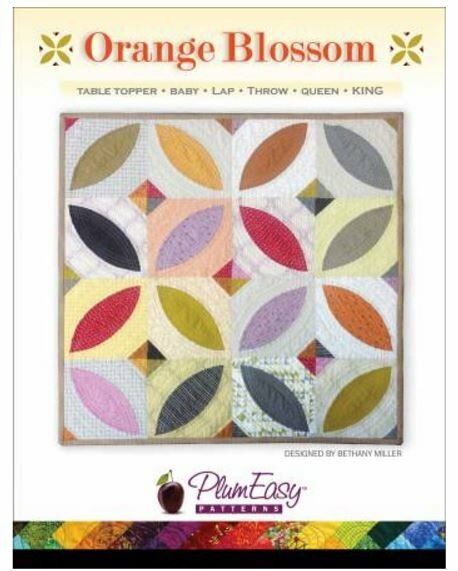 Orange Blossom has a new way to create the Orange Peel with a playful 4-patch in the middle of each block. Instructions are given for sizes from table runner to King. By Bethany Miller.